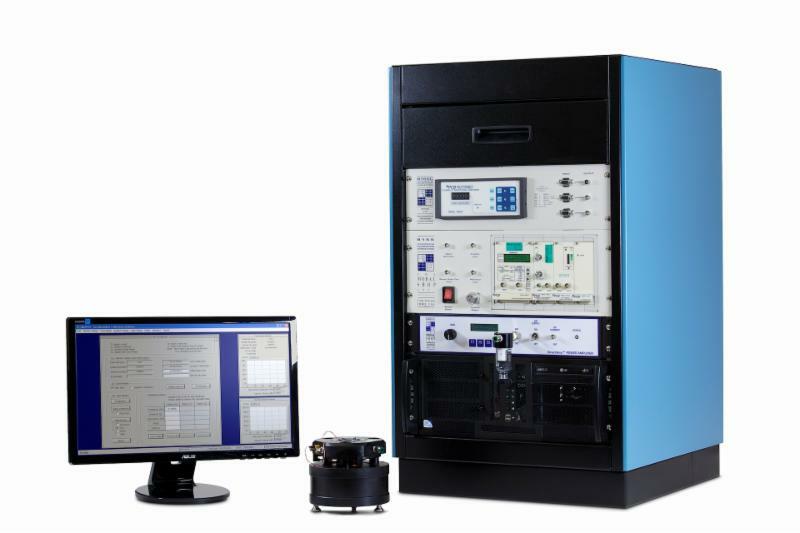 Cincinnati, OH - The Modal Shop, Inc., a global calibration authority for 25 years, would like to announce its 9155D Accelerometer Calibration Workstation. The 9155D is a turnkey calibration platform that supports international standards and factory calibration techniques for vibration, shock and dynamic pressure sensors. The system is designed for users who want to ensure control and confidence in a calibration program that conforms to ISO 17025:2005 and 16063-21. The core of the system is the 9155D software which has a heritage of reliability and stability and delivers a single-axis accelerometer calibration as fast as 60 seconds. The foundation of the vibration capability is the Air Bearing Shaker, which has proven precision and reliability through use in PCB Piezotronics factory accelerometer calibrations and in global calibration laboratories for nearly 15 years. The K394B30 Air Bearing Shaker utilizes an aluminum and beryllium core to achieve a frequency range of 2 Hz to 15 kHz, while the K394B31 utilizes a beryllium-only core to achieve a frequency range of 2 Hz to 20 kHz. A graphite air bearing combined with an ultra-stiff lightweight armature essentially eliminates transverse motion that plagues traditional flexure-based shaker armature suspension systems. Model 9155D options include the PneuShock™ exciter for calibration of shock accelerometers to 10,000 g, and the Long Stroke Calibration Shaker with SmartStroke™ technology for calibration of low frequency accelerometers (such as seismic sensors) as low as 0.1 Hz. Customers choose The Modal Shop, Inc. as a partner in calibration to ensure quality, precision results. Reliability comes from products used in millions of factory-approved sensor calibrations. In addition,The Modal Shop has implemented innovative techniques to provide the highest fidelity of data possible. The company's Total Customer Satisfaction policy supported with tenacious customer service and outstanding tech support is a guarantee. About The Modal Shop, Inc.
Based in Cincinnati, OH, The Modal Shop, Inc. a PCB Group Company, manufactures electrodynamic shakers, structural test products, calibration systems and non-destructive testing systems for a range of industries from metrology to manufacturing. For more information on our 9155D Accelerometer Calibration Workstation, as well as other available systems, visit our calibration web page at www.modalshop.com/calibration.